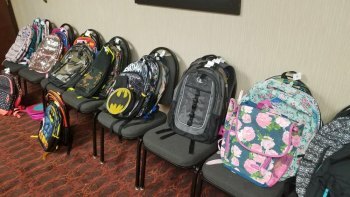 HUNTINGTON – The Hampton Inn- Barboursville received a grant from Hilton Corporate to provide backpacks and school supplies for local students this year. The Travel with Purpose Action Grant through Hilton was open to all Hilton properties to improve the communities where we live, work and travel. Twenty-four properties were awarded grants from all over the world, which included the Barboursville Hampton as the only selection in the state of West Virginia. Only fifteen properties in the United States were selected. The grant for $1000 was used to purchase backpacks and school supplies for students in the local community. Additional funds were also contributed by Toy Train of West Virginia and Huntington Councilman Mike Shockley. The Cabell-Huntington CVB, the Barboursville CVB, and the Pullman Plaza Hotel also provided supplies to be included in the backpacks. “We are honored to receive one of these limited grants from Hilton. The need in our community is so great, and we hope that these supplies can give all students an opportunity to succeed in the coming school year and beyond” said Cara Hedrick, Director of Sales. Backpacks were distributed to students from the AD Lewis Center and Barboursville Elementary School. In addition to the backpacks, the hotel was also able to provide five lucky teachers with a back-to-school supply box for their personal classrooms which included tissues, wipes, pencils, markers, glue sticks, and other essential items. 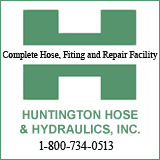 The Barboursville Hampton Inn is owned and managed by Guests Inc. in Strasburg, Virginia.